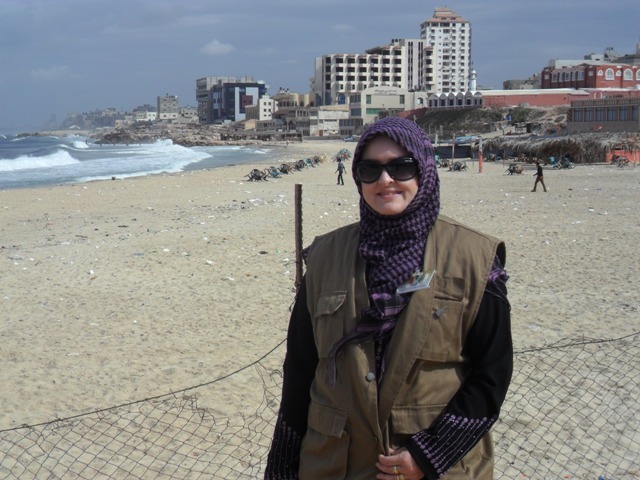 Aishah Schwartz in Gaza 7-10 Nov. 2012. PRLog (Press Release) - Nov 18, 2012 - Dear Mr. President: I call on you to exert diplomatic pressure on Israel to bring about an immediate cease-fire in the Gaza Strip and to initiate an investigation of Israel's misuse of U.S. weapons against Palestinians in this and previous attacks. I have supported you primarily because I believe you have a heart; that it is your heart that got you where you are today and it is your heart that will continue to guide you in making the right decision in support of ending the siege and bombing of Gaza. You encountered many an obstacle on your way to the Presidency, so I am counting on you to deliver where Gaza is concerned. From your heart -- you know the difference between right and wrong -- and I am counting on you to know the difference between allegiance to the flag of the United States of America vs. allegiance to the Israeli flag. We are all proven wrong from time-to-time, please don't let me be wrong this time - Gaza can't wait. You can send YOUR letter at the "End the Occupation" website. 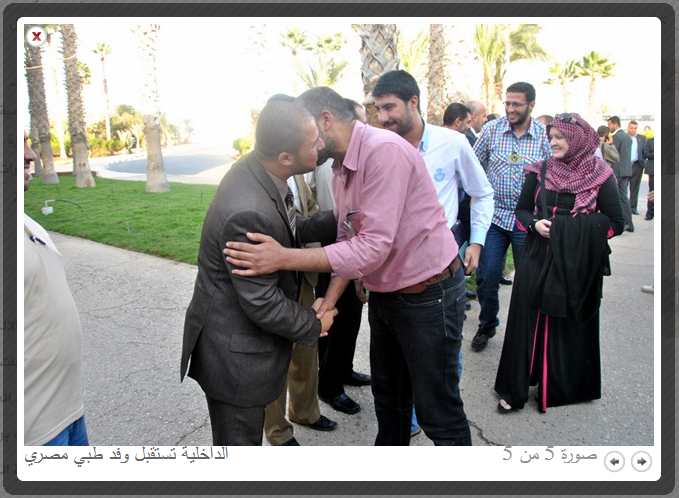 Ministry of Police receiving Egyptian medical convoy delegation.